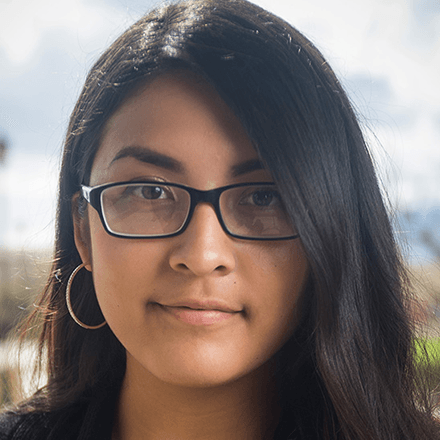 As the Global Climate Action Summit starts in SF this week, focused on solutions to climate change, young people in California reflect on their own experiences with a changing climate. The following is a collection of short essays from across the state. Coming from the San Francisco Bay Area, I grew up worrying about the drought. My second-grade teacher was the first person to teach me about water conservation. I started to save water in a bucket while I waited for my shower water to warm up, and reuse it for watering plants. Then, when I was in middle school, California entered the worst drought in recorded history so saving water seemed even more urgent — and routine. Like the drought, Northern California wildfires have also become a disturbingly routine part of my life. It feels too common now to wake up to orange, smoky skies. In July, I watched ash falling outside my window at work. When it comes to climate change, there’s so much out of my control, but I try to make a difference anyway. If I have to hold myself accountable for my water consumption, what are our politicians doing to hold corporate farms accountable for theirs? I’m literally saving droplets of water, but I can’t change how big agriculture operates. As I get older, I start to think: Is this climate change the new normal? This is more than just bad weather, and it’s all I’ve ever known. 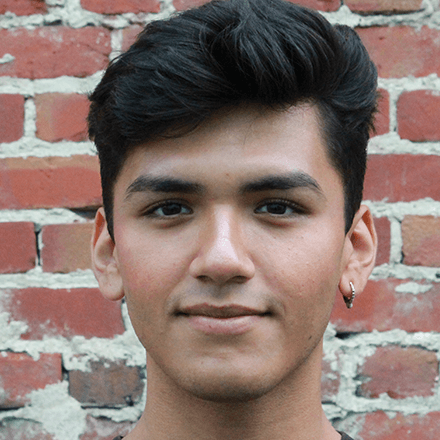 Emiliano Villa, 19, is a writer for Youth Radio in Oakland. Growing up in the heart of California’s Central Valley, I learned to appreciate the agricultural workers who work tirelessly to feed the nation, but living in Fresno also gave me another souvenir: severe acute asthma. I have been hospitalized more times than I can count for sudden onset exasperations. Especially during the California fires, it’s not abnormal for me to feel as though I’m breathing through a thin red coffee straw. Despite countless scientific studies that prove climate change is happening all around the globe, there are still those who refuse to believe humans cause it, or that it even exists. Climate change, global warming, impending doom — call it what you like. But it’s real, it’s happening and it’s all our fault. There are things we can do, however. Recycle. Ride a bike or walk more. Plant trees. Buy local food. Eat less meat — go vegan. Support environmental acts and activists. Run for office! Educate yourself and others. 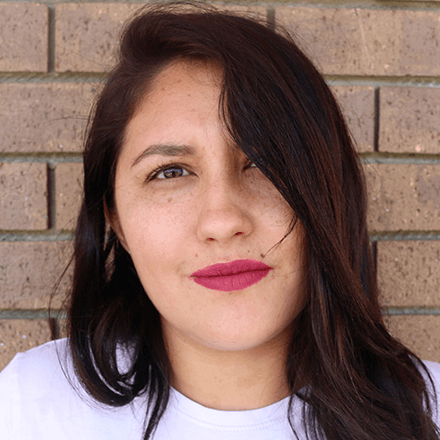 Valeria Pedroza, 30, is a writer for The kNOw Youth Media in Fresno. I remember my mom in the ER with pneumonia a few years ago. Doctors provided my parents with a remedy they couldn’t afford: Stop working in the fields to prevent exposure to pesticides. But there’s no escaping the fields — we’re surrounded by them. These same toxins that are inescapable in my Coachella Valley community have been fed to the Salton Sea for years. Now that the sea is drying and has become a widely known environmental hazard, I know the impact is deadly. This area is the ancestral home of Torres Martinez Desert Cahuilla Indians and hardly anyone talks about their ongoing efforts to protect their home. I’m tired of hearing plans that just talk about the bird and fish habitats. What about our homes and our lives? I’m tired of politicians hosting meetings on the environmental crisis in English when our community is predominantly Spanish speaking. While the Salton Sea continues to shrink, I can promise that our voices won’t. When officials meet in San Francisco to debate climate change this week, I hope they don’t forget the experiences of the people who live with the issue every day in the eastern Coachella Valley. Olivia Rodriguez, 25, is a writer for Coachella Unincorporated in Thermal (Riverside County). Someone like me, who grew up in Richmond, can’t enjoy a casual day without having to drop what I’m doing and listen closely to unusual sounds or sirens, or take a moment to question the air I breathe when it starts to smell like rotten eggs; a smell close enough to compare to the smell of sulfur. Every so often, I step on a high pedestal to check up on the Chevron refinery to make sure the “steam” that is being released into the air isn’t a huge black cloud. There have been many times when I thought the Blue Angels were flying above or an emergency helicopter was landing at Kaiser Hospital late at night, but each time I was wrong. Those loud hissing sounds were coming from the refinery just 2 miles away from my house. Big Oil, bought-out politicians and climate deniers should not be the ones who make decisions about our health and our climate. Programs like cap-and-trade or refinery and oil/gas well expansions are false solutions that increase climate problems like wildfires and droughts happening everywhere. Those of us who live on the front lines of our fossil-fuel economy, and our family members or friends who work within these polluting industries, are being impacted every single day. I will be standing with many of them this week in the streets of San Francisco, mobilizing for our state to transition away from fossil fuels and uplift renewable and sustainable energies that will lead us toward a healthy and vibrant future for the generations to come. I don’t want policymakers and greedy industries putting our own lives and our health on the market. 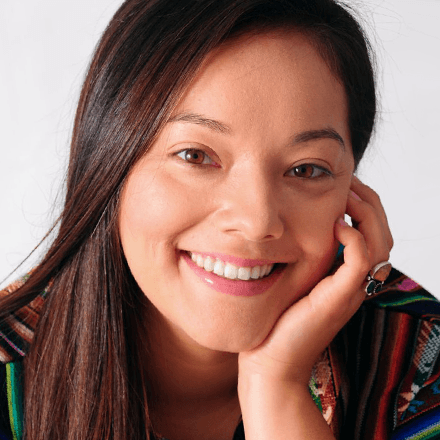 Isabella Zizi, 24, is a writer for Richmond Pulse in Richmond. I was born and raised in Sacramento, so I know the air quality is bad here. Sometimes there is so much smoke in the air, you can’t even see that far. And it can get really bad for your health — you definitely notice when you’re coughing a lot more. And since Sacramento is in a valley, and shaped like a bowl, smoky air can stay there for a very long period of time. Even now, there is smoke clearly visible in the air. Climate change in California is starting to be a lot more concerning, especially in recent years. Every year, there are more and more fires, which means more and more smoke. As a young person, I don’t feel like I have many options to solve the issue, but I hope our elected leaders will think about the future generations when passing laws that can help clean the air. 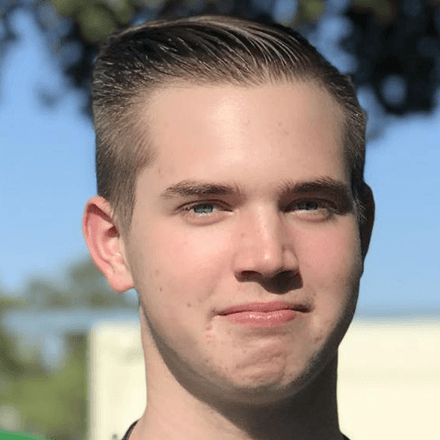 Arthur Kunert, 17, is a writer for Access Sacramento in Sacramento. I often hear phrases like “reducing our carbon footprints” or “counteracting climate change,” but I didn’t realize how big of a role environmental sustainability has in my life until recently. I realized that we all have our own part in ensuring sustainability. One of my favorite ways to practice eco-friendly living is by thrifting and up-cycling, that is, making new products from unwanted materials. I found this the perfect way to marry a love for fashion with a frugal budget and a moral responsibility to abstain from environmentally negligent fast-fashion. I love the process of up-cycling so much that I decided to collaborate with my friend to create an up-cycling brand called “Freshcycle.” As our brand grows, we hope to integrate an educational program where other youth can learn to up-cycle as well, thus creating an outlet for creativity that promotes a greener, cleaner world. 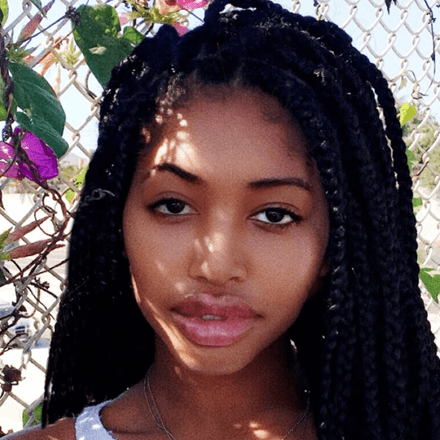 Endiya Griffin, 16, is a writer for The AjA Project in San Diego. Thanks to our collaborators at Coachella Unincorporated, Richmond Pulse, The kNOw Youth Media, Access Sacramento, and The AjA Project. This originally ran in YouthRadio.org. Click here to read it there.